APF Mill Hill Missio (Red Boxes); CAFOD (Catholic Fund for Overseas Development); Churches Together; Divine Mercy Prayer Group; Friends of the Holy Land; Knights of St Columba; Nugent (Blue Boxes); One World Group; Project Zimbabwe; Pro-Life Group; Redemptorist Mission Action; Street Child Africa with Chance for Childhood; St Vincent de Paul Group. The representative on the Parish Pastoral Group is Jenny. APF/Mill Hill was 75 years old in 2011 and adopted the new name "Missio". It is the Church's official body for preparing and supporting priests for their mission work in over 27 countries overseas. The Redemptorists in Zimbabwe receive help from Missio. Financial support is provided through fund raising, donations and an obligatory retiring collection. Donations are received either through standing order or collection in the APF/Mill Hill Red Box. Traditionally these red boxes are kept in a prominent place in Catholic homes. Missio also publishes a magazine which is circulated to its supporters. There are 20, collectors who visit more than 200 homes to distribute the magazine and to empty red boxes three times a year. Others support by standing order.The annual collection usually totals over £6000. The real achievement is that contact is maintained with the church by the visits made to homes by hard-pressed volunteers. Contact Ann Monaghan(737 1599) or Dave Hart(722 4656) for more information. CAFOD works with over 500 partners in more than 40 countries across the world to bring hope, compassion and solidarity to poor communities, standing side by side with them to end poverty and injustice. CAFOD works with people of all faiths and none. Inspired by scripture, Catholic social teaching and the experiences and hopes of people living in poverty, CAFOD works for a safe, sustainable and peaceful world. Bishop Eton's involvement with the work of CAFOD is through Family Fast Days collections which take place twice a year. On these days Catholics are invited to fast and to give the money which they would otherwise have spent to the poor. CAFOD envelopes are distributed in Church the week before each Family Fast Day and collected during the Masses following the Fast Day. We are part of the well-established national organisation, Churches Together in Britain and Ireland. We aim to increase understanding and fellowship between the different Christian churches in the area. Each church takes responsibility for a specific event and recruits helpers. 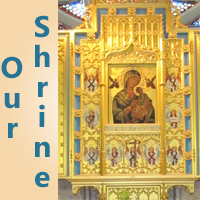 There is also an ongoing weekly ecumenical prayer-group to which new members are very welcome. A big focus for the group is the Week of Prayer for Christian Unity in January, when joint services are held in each church throughout the area. Throughout the year there are other events, such as Lenten study-groups, social events, and the prayer-group. 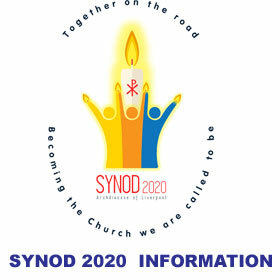 Please do support us by attending events which are advertised either in the bulletin or in the porch, and by praying. It aims to support the Christian community in the Holy Land, particularly in areas of education, employment and welfare. This is done by Prayer, Pilgrimage and Projects. A Mass for the Holy Land is celebrated on the first Saturday of each month at Bishop Eton and is well attended, and parishioners from south Liverpool parishes frequently join pilgrimages to support the local people. Funds are raised from the Eastertide collections at churches throughout the Archdiocese. These collections were instituted by the Most Reverend Patrick Kelly when he was Archbishop of Liverpool. Money is also raised from the sale of Olive Wood Products, and from Crib boxes filled in homes of parishioners. Small employment schemes eg " Olive Wood Products"
Centres for the elderly, eg Martha's House. Individual medical care and home maintenance. Anyone would be welcome to join the group, especially someone with organising and fundraising ideas. A Holy Hour is held the first Friday of the month. The Knights of St Columba are a body of Catholic men who rely also on the support we get from wives family and friends. We have been supporting parishes and charitable organisations since 1919 and we have every intention of continuing this important aspect of our activity in parishes and the wider community. The spiritual director for all the Knights in England,Scotland and Wales is Archbishop Malcolm McMahon OP. The Knights organise several fundraisers throughout the year which are advertised in the parish porch or on the weekly bulletin. One event is the annual sponsored walk. Membership is open to Catholic men over the age of 16. New recruits come with new ideas and tend to give fresh impetus and stimulus to any organisation. New membership is our essential lifeblood. 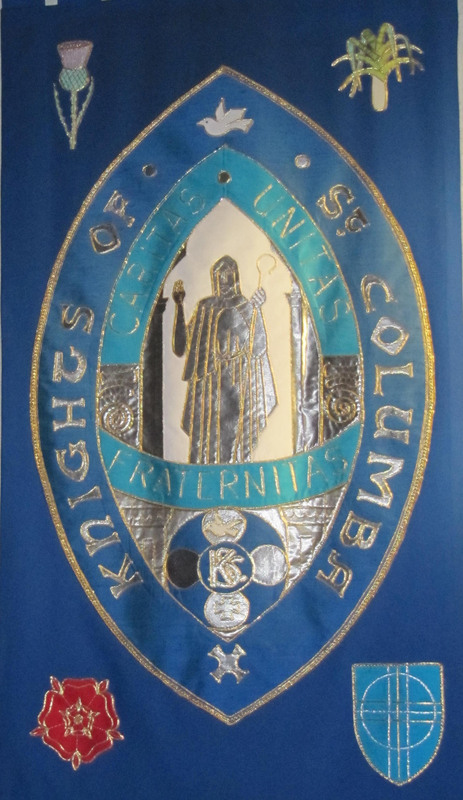 Council 9 of the Knights which covers from Christ the King parish to Halewood hold meetings on the second Thursday of the the month at 8.00pm in St. Francis' parish hall. We have several parishioners on this council. Nugent (formerly Nugent Care) is a major service provider charity which aims to meet the needs of vulnerable and marginalised individuals and communities across the Archdiocese of Liverpool. Its care homes and special schools provide support for hundreds of children, young people and adults. Its volunteers do thousands of hours of voluntary activity each year. Community teams provide a vital support service to hundreds of individuals across the North West who have learning disabilities, are deaf or hard of hearing, or are older people in need of support or befriending. Specialist services include a welfare and material aid project, support for homeless people and supported living programmes for adults with learning disabilities. 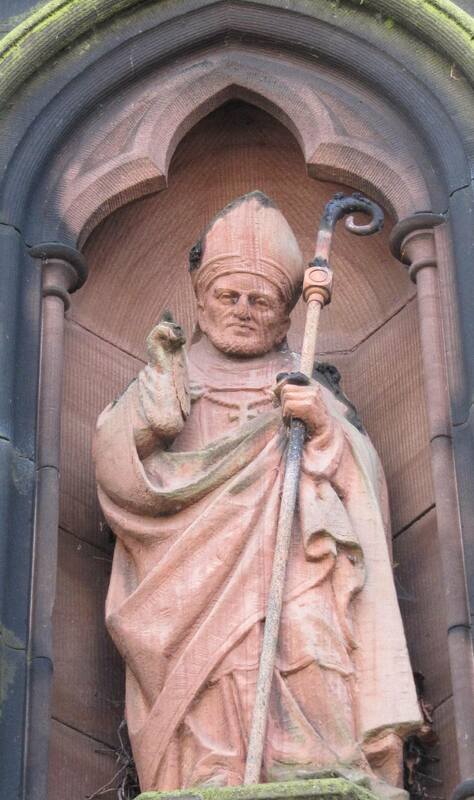 The origins of Nugent date back to Victorian Liverpool and the pioneering work of Father James Nugent (1822-1905) in relation to child welfare, relief from poverty and social reform. Through his ministry, Fr Nugent witnessed suffering caused by poverty and appalling conditions and took action to remedy the situation. By the time of his death, Fr Nugent had given homes and valuable skills to thousands of children, and laid the foundations for the work currently undertaken by Nugent. Allied to the Archdiocese, Nugent has provided care and support for over 130 years. While the organisation's values have remained constant, its services have adapted to meet the changing needs of today's society. Bishop Eton donates to the work of Nugent Care through the blue box scheme. Each box is labelled with a list of client groups who may benefit from donations. The donor is invited to tick the group to which his/her money should be donated. Boxes can be obtained and returned to church after the 10am Sunday Mass or by contacting the organiser who will call at your home to collect your box. 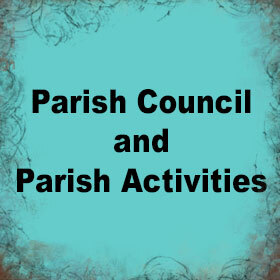 Collection and receipt of the next boxes are done at specific times throughout the year when a notice is put into the parish bulletin. Nugent Care had a Charity shop in Allerton Road. If you have any old shoes, clothes, handbags or bric-a-brac that you would like to donate, drop them off at the Charity Shop at 73 Allerton Road, or at the Nugent head office at 99 Edge Lane. Every Advent (normally the first Sunday) there is a toy collection for Nugent. The toys are distributed to children in need. The crib appeal takes place during the Christmas season. 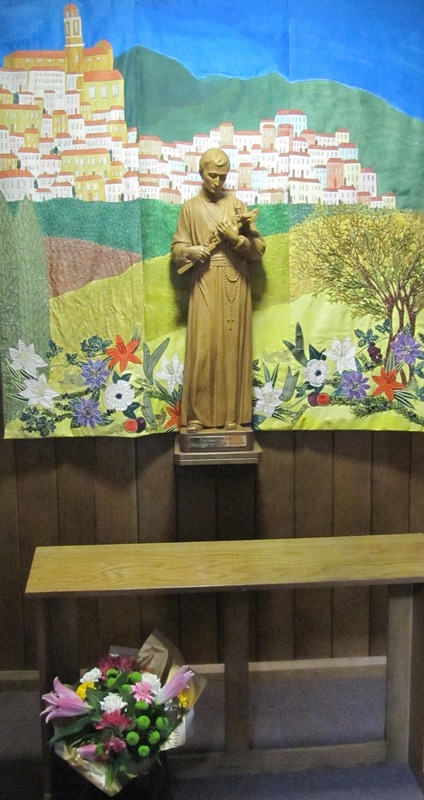 A box is placed at the front of the altar for donations. All proceeds are donated to Nugent. The friends of Nugent meet regularly in the Hughes meeting room. They organise fund raisers for Nugent such as Christmas and Easter Fairs. The group was started in 1983 by parishioners who had direct links to The Chigwell Sisters in Zambia, Fr. Max McKeown in Angola and Sister Bridie in Kenya. The group was started as The Third World Group, in an attempt to help their specific organisations because they had no other source of funding. Money we raised was sent directly to Africa and is used for education, medical supplies, food, clothing and equipment for the children whose parents have died of HIV. Over the years monies were also sent to other countries in the world and to support other small organisations but always only to those who do not receive funds from other sources. More recently we have also sent money to the Kenyan Orphan Project because two parishioners who are medical students have been there working during their summer holidays and asked the group for financial help for the project. The group raises funds through a range of different activities which it hopes raise awareness and are profitable but also are great fun for those who attend. Activities such as lunch at 60 Hope Street and the Safari Supper are repeated year on year due to popular demand. Over the years many thousands of pounds have been sent directly to projects in the developing world. The group comprises a committee of 8 members ranging in age. It holds its annual AGM at the end of January. All are welcome to attend. It lasts about an hour followed by light refreshments. At the AGM we plan our events for the year. Following that we usually meet again about a week before each event is due to be held to make the arrangements. These meetings are usually in the Hughes Meeting Room and last about an hour. There are also a number of auxiliary members who are not able to attend meetings but will help at the functions. Although our events are primarily to enable us to raise funds for our brothers and sisters living in the One World we feel that it is also a way of us getting together socially as a parish community, having fun and raising money at the same time! New members to the committee or auxiliaries are welcome any time. There are no particular skills required – just a desire to help others and a smiley face! If you are unable to take part in the fundraising activities, donations to the One World Group funds are gratefully received at any time of the year. These can be handed into the monastery reception and marked for the attention of Bishop Eton One World Group. Bishop Eton has a close partnership through Project Zimbabwe with Redemptorist parishes in Zimbabwe in Tafara and Mavuku, Harare. 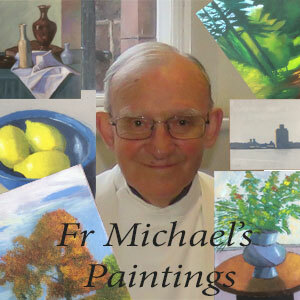 raise money through various parish activities. In the last few years we have a number of fund raising events all of the money raised has been sent to the Redemptorists in Zimbarbwe to help aid their projects. Former parish priest Fr Dickinson included the Society for the Protection of the Unborn Child (SPUC) emblem in the parish millennium stained glass window. He also promoted the distribution of "Pro-Life Times", and other similar initiatives. There is an obligatory special collection "Day for Life", requested by the Bishop's Conference, and the Pro-Life Times is made available in the church porch. Although many parishioners support SPUC, the Pro-Life Alliance, Amber, Zoe's Place and other organisations privately, it is of great concern that the parish does not have a support group concerning itself with the Church's teaching about the sanctity of life, from conception and through old age. The developments in eugenics, IVF, midwifery and geriatric care make it urgent that a group addresses these issues and creates a greater awareness in the parish. Redemptorist Mission Action was established many years ago to raise money for the congregation's work in the missions. This group is now organised by Fr Gabby from the Erdington parish in Birmingham. Bishop Eton contributes to his fund raising through its collection of used stamps. Parishioners are encouraged to collect used stamps which they receive on mail through the post. Each stamp should be cut from the envelope leaving a small surrounding of paper border. Several times each year a notice is put into the bulletin asking for the stamps which have been collected to be taken to the monastery reception. A parishioner then sells these to a dealer and the money raised is sent directly to Fr Gabby. Please assist in this work by saving your used stamps and taking them to the monastery when you see the notice in the bulletin. STREET CHILD AFRICA BISHOP ETON SUPPORT GROUP was set up in 2003 in response to an appeal by the founder, Fr Patrick Shanahan. The Baby Care Programme at Street Girls Aid in Accra, Ghana. The Group of around twelve is a cross section of people who have an interest in helping children living on the streets of Accra. We hold fund raising events throughout the year Events include lunches, auctions, dinners, clothes sales and many other similar fundraising ideas. To date the group has raised over £105,000. Any fund raising methods will be given consideration. Group meetings are held in the Hughes Room usually every six weeks or as required, depending on the date of the forthcoming event. Events are discussed, planned and reviewed. New members are welcome to join the Group. Everyone is encouraged to join any of our activities. We would particularly welcome young people and also offers of help, on a long term or even on an ad hoc basis. We also operate a standing order and gift aid scheme if you wish to support the charity financially. Street Child Africa has recently merged with a similar Charity, Chance for Childhood. While there were many advantages in the merger, particularly financial, one of the downsides of this merger was the loss of the name Street Child Africa. This was a great disappointment to our Group as we are reluctant to lose the name given chosen by the charity's founder. The Charity, at presents operates under the Name CHANCE FOR CHILDHOOD with STREET CHILD AFRICA but will, probably soon become simply CHANCE FOR CHILDHOOD. To read more about Street Child Africa's work with Street Girls Aid - Please click here. The SVP is an international Catholic charity which was established in Liverpool in 1844. Its aim is to tackle poverty and disadvantage in all forms. The Bishop Eton Conference was established in 1981. The group has male and female adult members with a range of backgrounds and skills. The main requirement is the willingness and time to serve other people. Members must be over 18 years of age. Members undertake a range of activities including visiting people in their homes, both inside and outside the parish, assisting Asylum Link, providing financial support to programmes in this country and abroad, developing the spiritual strength of the group and assisting with special projects such as holidays for those in need of respite.